There are many different members of the mallow family and all are edible. Which ones are worth eating is, perhaps, another matter but it is a family easy to identify s woth experimenting with. Common mallow is - common. It is a pretty plant that frequents road sides, waste ground etc. Its leaves are fairly bland tasting, not a bad texture. Eaten on their own they are a little mucilaginous - which may not appeal to some people - but in a mixed salad they are a fine lettuce alternative. You can find mallow almost all year round - the photo above was takenOctober 6th 2010. However the leaves are at their best in spring and again in autumn. As with all salad plants, the young leaves are best, move the old leaves aside to find the young folded-fan leaves beneath. 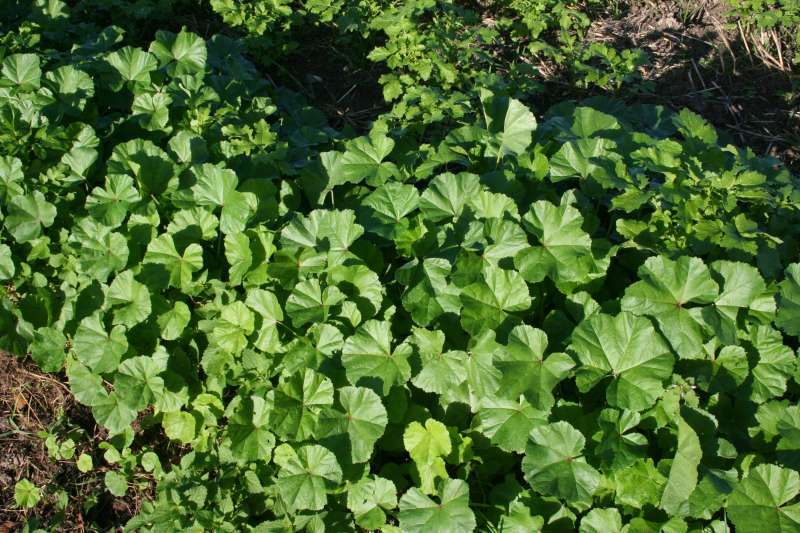 Mallow has a long established use as a medicinal herb, so is worth including in salads as a healthy addition.